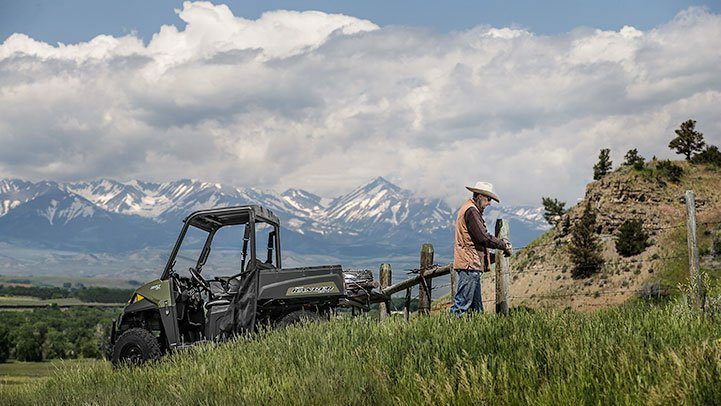 PROSTAR® - PURPOSE BUILT FOR WORK: The RANGER ETX ProStar 31 hp engine is purpose built, tuned and designed around the demands of a hard day’s work – resulting in an optimal balance of smooth, reliable power to help you get the job done. Electronic Fuel Injection allows for dependable cold-weather starting plus superior fuel economy. PROSTAR® - ENGINE EFFICIENCY: With the ProStar® combination of engine and transmission rigidly connected and rubber isolation mounted to the frame, the RANGER ETX features excellent driveline efficiency that outperforms the competition. Pair this with a 9 Gallon fuel tank to ride and work longer with less refueling. CLASS-LEADING TOWING AND PAYLOAD: A full 1,500 lbs. towing and standard 2” receiver, the RANGER ETX allows you to tackle the toughest jobs with confidence. Additionally, a 1,000 lbs. payload capacity is highlighted by a rear box with gas-assist dumping operation that can tote up to 500 lbs. of material. RANGER® WORKS ON YOUR SCHEDULE: RANGER doesn't stop working when the sun goes down and is there for you before it rises. ETX features 50W headlights versus 37.5W for the competitors, and our LED rear lights out shine the others too. 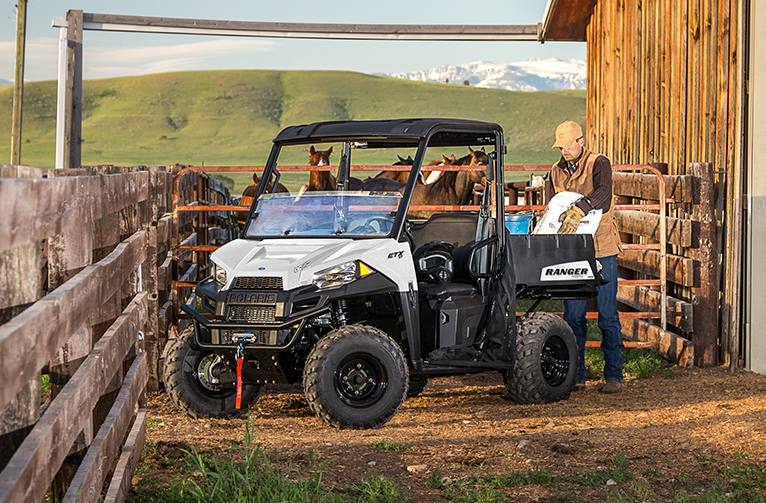 ALL-DAY RIDING COMFORT: We designed the RANGER ETX with an ideal seat height and wide foot clearance for easy entry and exit. Plus, experience updated bench seats designed for all-day riding comfort and standard tilt steering wheel adjustment. 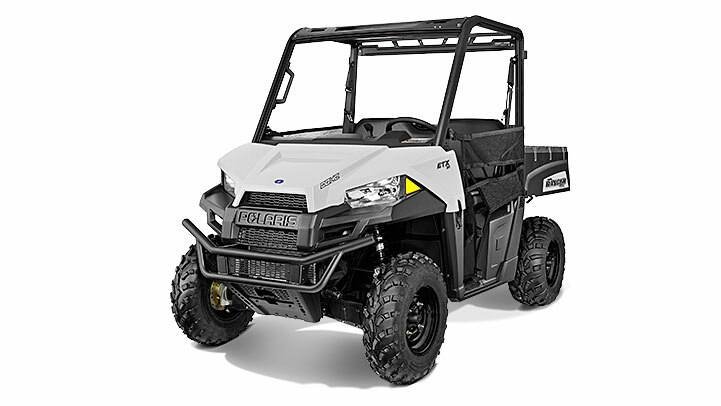 SMOOTH RIDING SUSPENSION: To ensure a smooth ride, the RANGER ETX features a full 9” (22.9 cm) of suspension travel up front and 10” (25.4 cm) of Independent Rear Suspension travel – 25% more rear travel than the closest competitor. 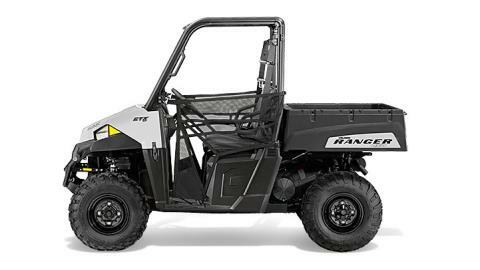 NIMBLE HANDLING: For nimble handling and a tight turning radius, the RANGER ETX features an ideal 73” (185 cm) wheelbase paired with a full 10 inches (25.4 cm) of ground clearance. Additionally, a 58-inch width allows the ETX to fit in the bed of most full-size pickups. 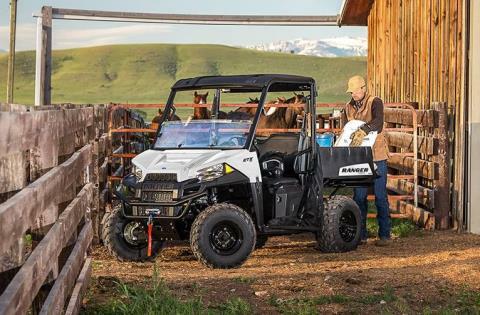 LEADING STORAGE SOLUTIONS: With the RANGER ETX, enjoy a full 46 L of enclosed, in-dash and behind seat storage that keeps items at the ready when they’re needed. 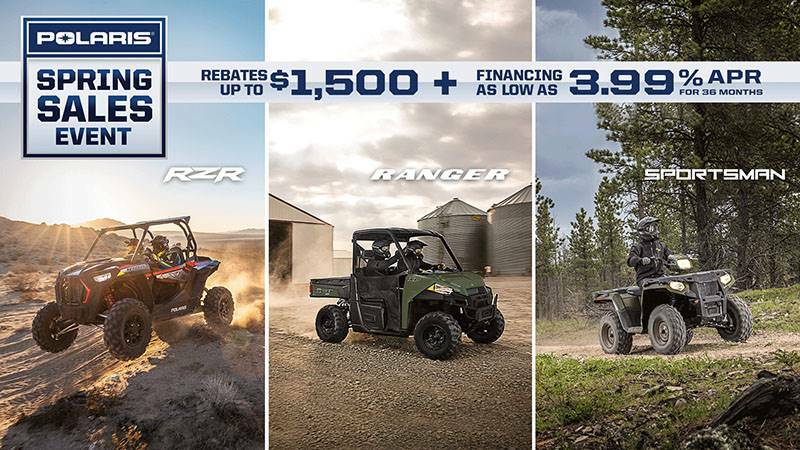 FULL LINE OF POLARIS ENGINEERED ACCESSORIES™: Make your RANGER even better with Polaris Engineered Accessories™. 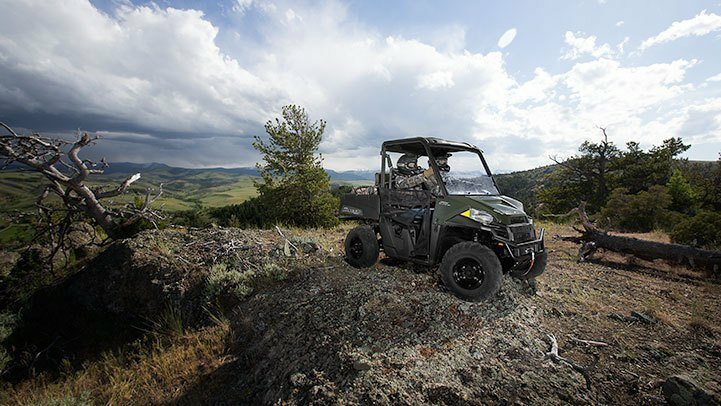 With more than 350 accessories available and Polaris-exclusive technology like Lock & Ride®, you can feel confident that Polaris Engineered Accessories™ will improve your ride, from the back yard to the deep woods.